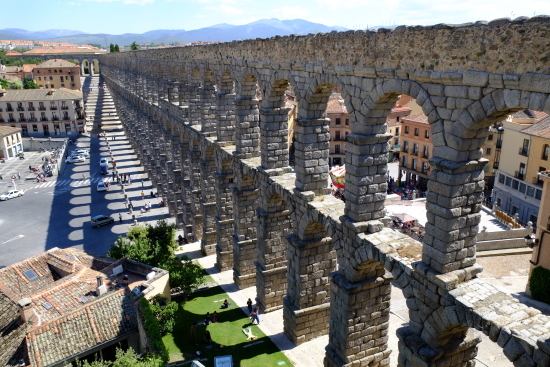 The Aqueduct of Segovia, located Plaza del Azoguejo, is the defining historical feature of the city, dating from the late 1st or early 2nd century. 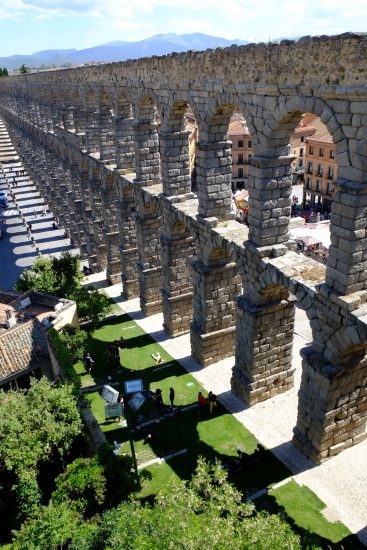 Acknowledged as the most important Roman civil engineering work in Spain, it consists of about 25,000 granite blocks held together without any mortar, and spans 818 meters with more than 170 arches, the highest being 29 meters high. 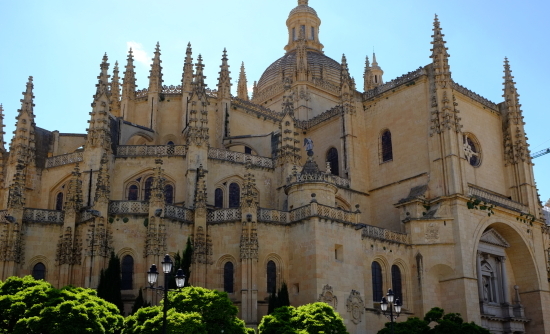 The Segovia Cathedral is the last Gothic cathedral built in Spain. 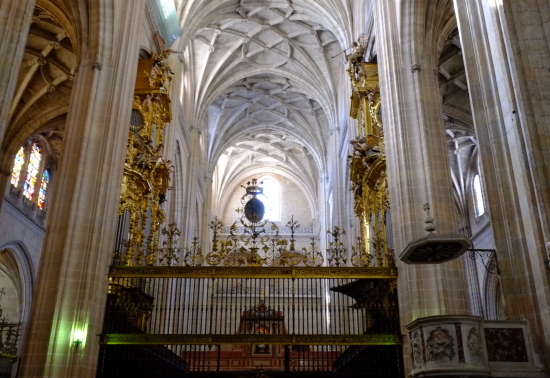 It is considered the masterpiece of Basque-Castilian Gothic and is known as "The Lady of Cathedrals." 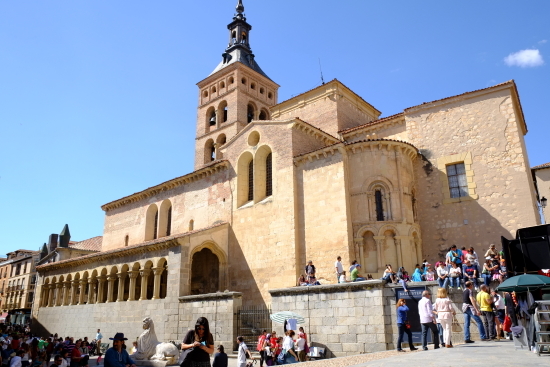 This is the third largest cathedral in the city, and retains the cloister of the second, located opposite the castle and destroyed during the Revolt of the Comuneros in 1520. 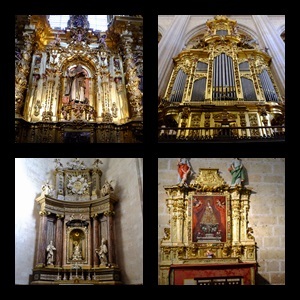 In his works he worked Juan and Rodrigo Gil de Hontañón, and other teachers of Spanish architecture. It was consecrated in 1768 and has dimensions of 105 meters long, 50 meters wide and 33 high in the nave, has 18 chapels and has three doors. 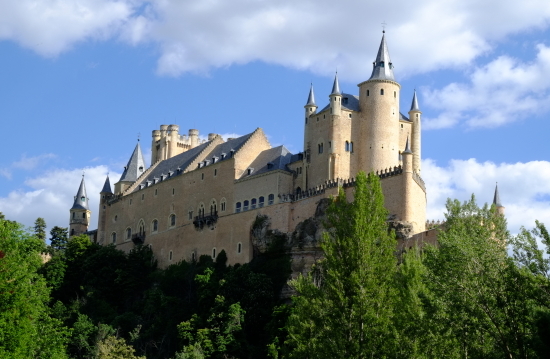 The Alcazar of Segovia, the royal palace located on top of a rock between the rivers Eresma and Clamores, is documented for the first time in 1122, although it may exist in earlier time. It was one of the favorite residences of the kings of Castile, built in the transition from Romanesque to Gothic and Mudéjar decor highlighting its ample rooms. 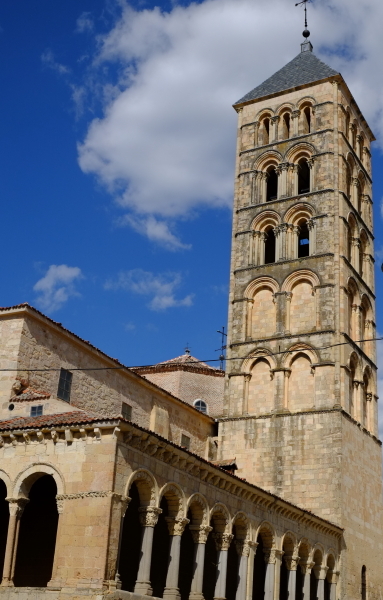 The building is structured around two courtyards and has two towers, the Keep and John II. 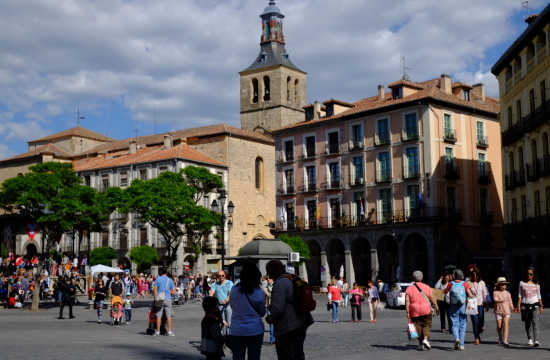 It was a favorite residence of Alfonso X the Wise and Henry IV, and Isabella the Catholic left him to be crowned Queen of Castile in the main square. Devastated by fire in 1862, was later rebuilt. 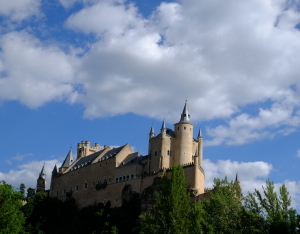 Now houses the General Militar de Segovia archive and museum of the Royal School of Artillery, managed by the Board of the Alcazar.